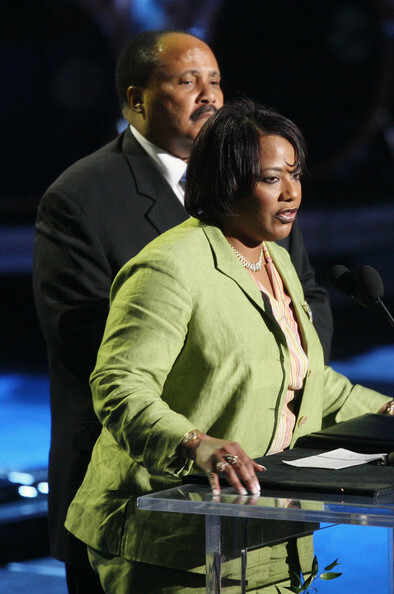 Martin Luther King III and Bernice A. King speak during the Michael Jackson public memorial service held at Staples Center on July 7, 2009 in Los Angeles, California. Jackson, the iconic pop star, died at the age of 50 at UCLA Medical Center after going into cardiac arrest at his rented home on June 25 in Los Angeles.